There are a lot of films that capture your attention instantly and remain with you for life. 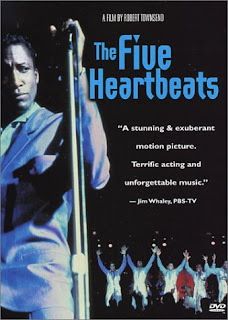 As a child, beyond the cartoons and such, there were two R-rated movies that I was allowed to watch, and one of them was The Five Heartbeats. I used to think The Five Heartbeats were an actual group, until I realized the movie was really based on the legendary group The Dells. Nonetheless, the movie was one of my first R-rated films, and remains one of my all time favorites today. The film was perfectly executed, telling the story of Eddie King Jr, Choir Boy, Dresser, JT and Duck Matthews as a five man collective who were looking for a record contract while performing at club competitions. Once meeting their mew manager Jimmy and his wife Eleanor, the group begins taking off, seeing success, even signing with the Big Red record label. However, the signing would be the beginning of the end to speak, as Eddie's drug problems got worse, Big Red got Jimmy murdered, tensions began to rise. Eddie was eventually replaced by Flash, a singer from another group previously, and he sung lead. As the band neared another huge milestone, Flash left the group and went solo, while Duck decided to walk away from the band after finding out his woman previously had a thing with his brother JT. When it all crashes down, the brothers separate into different lives, before coming back again as friends, not just group members. That's the film itself, but being a movie centered around a musical group, the most important part of the film is just that: the music. 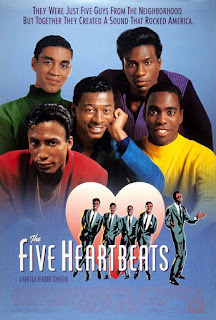 The opening scene features The Five Heartbeats singing their upbeat "Nothing But Love", which might cause you to get out of your seat and dance a bit. It's a great song that allows each member to show their vocal prowess. While performing at a competition, the Five Heartbeats witnessed another group, Bird and The Midnight Falcons, sing their jam "Baby Stop Running Around", which is equal parts catchy and hilarious. However, the iconic moment of this scene comes when the Heartbeats perform "A Heart Is A House For Love", which starts off slow and pretty lackluster until Duck takes over the piano and Eddie sings his heart out. The result is a goosebump inducing performance that even sees Eddie kissing a woman in the audience and making her faint. Classic. 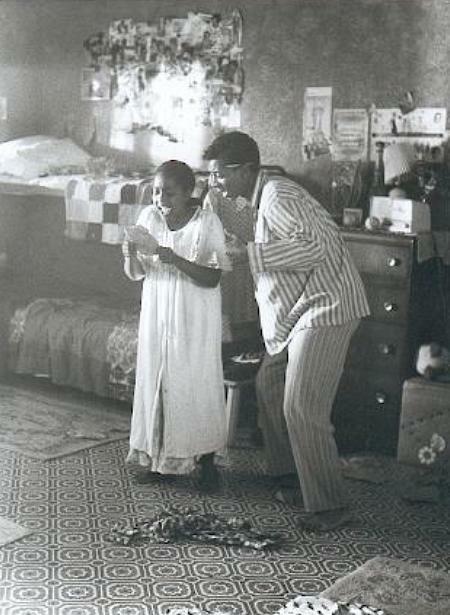 I am not as big of a fan of the scene with Duck and his little sister in the room as others are, but it was a very nice scene in general. The Heartbeats performed their "Nights Like This" song and kept the streak alive. When Eddie left, one would assume the hits would stop rolling in. The Flash Era spawned two amazing songs, one od which I believe is called "In The Middle", which is extremely infectious for a song created for the film. The greatness continues when JT and Flash duel for a woman's attention on the song that I think titled "Just In Case" as her husband looks on aggravated. All in all, the Five Heartbeats is an outstanding film that features some great music. It's a coming of age story in a sense, along with showing you the pitfalls of the industry. If you have never seen this film, hit up Netflix and watch it ASAP.